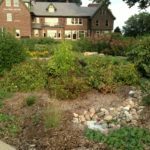 The Green Infrastructure Education Network is a collaborative effort between the City of Omaha Stormwater Program and the University of Nebraska – Lincoln. Our goal is to connect with various community organizations, small businesses, underserved communities, and schools throughout the Omaha metro area and provide them with high-quality education and outreach activities about water and green infrastructure principles and practices. These educational opportunities and additional technical assistance are meant to provide social, economic, and environmental benefits while also actively engaging citizens within the community. 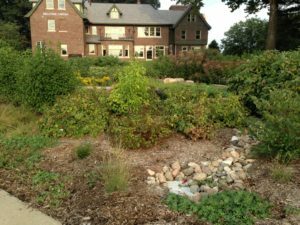 Furthermore, the purpose of the Green Infrastructure Education Network is to provide learning institutions and other community organizations with resources and opportunities to connect with others to help foster community support for better stormwater management. 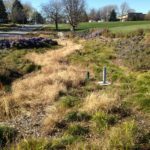 The Green Infrastructure Education Network will provide a venue that allows information and experiences to be shared among everyone in order to improve the overall understanding and management of stormwater and green infrastructure. This project has been created through funding by the United States Environmental Protection Agency’s (U.S. EPA) Urban Waters Program. 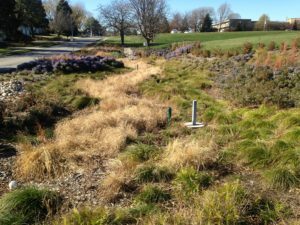 Still curious about what green infrastructure is and how it works? 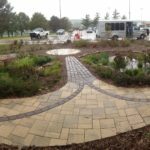 Check out our Green Infrastructure page to learn more and explore some of the featured projects!! The Education Toolkit provides an excellent source of information about green infrastructure and how to incorporate it in and out of the classroom. Click the link above to explore a variety of online resources including lesson plans, fact sheets, and other activities. The Industry Toolkit provides information on how your business can incorporate green infrastructure into your day-to-day operations and benefit! Click the link above to explore resources specific to skill and job development related to green infrastructure. Keep Omaha Beautiful is a nonprofit organization dedicated to promoting environmental stewardship within the community through various programs, events, and educational services. Keep Omaha Beautiful works with the City of Omaha to educate citizens about healthy stormwater practices, litter reduction, pollution prevention, proper recycling, and community beautification. Visit the Keep Omaha Beautiful website for more information. The Big Garden works with local communities, schools, and nonprofits to establish community gardens. These gardens are used to grow healthy, sustainable foods and educate the public about a variety of topics including food security, seed saving, cover crops, pollinator gardens, and water conservation. The Big Garden offers a number of educational events that foster community growth. Check out The Big Garden website for more information. City Sprouts is a nonprofit organization that works with residents and volunteers to establish community gardens throughout the city, providing educational opportunities on how to grow flowers, vegetables, and herb using sustainable gardening techniques. City Sprouts works to improve community health, enhance community identity and pride, and increase the availability of fresh and local produce. Visit the City Sprouts website for more information. This project is funded in part by the United States Environmental Protection Agency (EPA) under assistance agreements (UW 97755701-0). The contents do not necessarily reflect the views and policies of the funding agencies and mention of trade names or commercial products does not constitute endorsement or recommendation for use.